If you grew up in a tight-knit church community like me, you have heard of and/or seen Soul Surfer. It’s one of those Christian movie classics, and after watching the film, I can see why. This is my review of Soul Surfer! 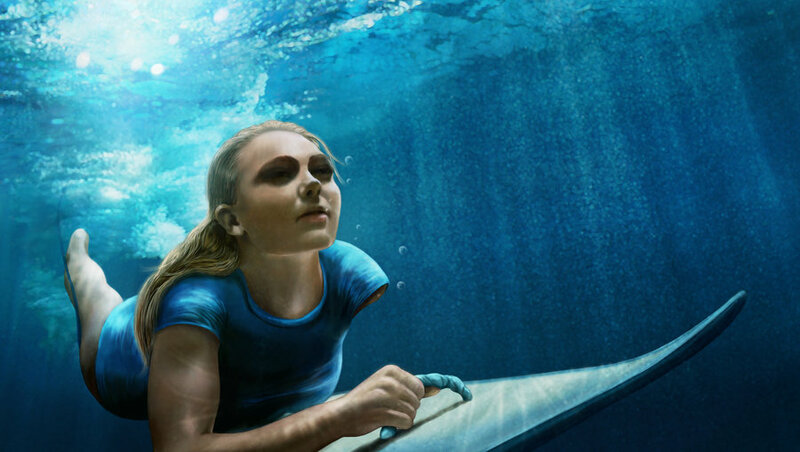 Soul Surfer is the true story of Bethany Hamilton, a professional surfer whose life changed when, as a teenager, she was attacked by a shark and lost her arm as a result. From there, the story is of how she doesn’t allow this tragedy to define her life, but rather rises above her limitations and clings to her passion for surfing. Okay, I’m probably not going to make any friends with this opinion, but Carrie Underwood…yeah…I’m sure she was doing her best, but her line delivery felt less like a character saying dialogue and more like an actor reading off of cue cards. I’m not questioning her sincerity, just her acting ability. Unlike Courageous, I didn’t take any walking breaks during this movie! Hooray! There’s no filler to be found because every scene has a purpose. The smooth pacing help advance the story from beginning to end. By no means is Soul Surfer a perfect movie, but it is a movie that should be required viewing for aspiring Christian filmmakers. The God talk is written as genuine dialogue that would be said between believers. Most importantly, the movie and the message never conflict with each other. The Christian elements are successfully woven into a human story about a determined person who overcame all odds to inspire others.